While I was pregnant for the second time I noticed that my skin became extra oily and my pores even more noticeable. Already feeling like a huge frump, the last thing I wanted was terrible skin, so I decided to invest in a Clarisonic facial cleansing system. There are several different types available but I opted for the Mia 2 Deep Pore Decongesting Solution, which seemed perfect for me because the box read ‘Reduces pore appearance and helps control excess oil on skin’s surface, for visibly clearer looking skin’. Great, just what I needed! So I handed over £140.00 (ouch!) and headed home with what I hoped would be my new skincare saviour. Inside the box was a white deep pore Mia 2 cleanser with deep pore brush head attached, 177ml deep pore daily cleanser, 60ml decongesting clay mask, charger and a hard travel case. I was also given a free travel bag as part of a promotion. That evening, after I had removed my makeup, I was excited to use the Clarisonic. I followed the instructions, splashed water on my face, put a penny sized amount of the daily cleanser straight onto the brush head and got to work on my face. The Clarisonic uses patented sonic frequency and the brush head moves at a rate of over 300 movements per second. There are 2 speed settings on the Mia 2 and a 1 minute timer. I must say, I loved the feel of the Clarisonic against my skin, I could feel the dead skin and dirt faking away. I had to resist the temptation to keep using it for one more minute. Twice daily for one minute each time is what Clarisonic recommend. Clarisonic claim a visible improvement will be seen after just one use but I didn’t really believe that would be true. However let me tell you – it is! My pores were tighter, especially on my nose, and my skin felt so amazingly soft I couldn’t stop touching it. I was so impressed and immediately felt it was a justified spend. Several months on and I still use the Clarisonic daily. It is now part of my morning and evening skincare routine. When the daily cleanser ran out though I didn’t replace it. I went back to my old faithful Johnson’s Clean and Clear. I’ve used so many facial cleaners over the years, from Clarins to Superdrug’s own brand, but I find this cheap and cheerful choice great for my oily skin. I use the decongestant clay mask weekly and I still have some left. A little goes a long way and it’s very easy to spread, unlike a lot of clay masks. I find that a weekly application is enough to really clean my skin and unclog my pores. Overall I’m very pleased with the Clarisonic Mia 2. We can never totally remove our pores, it just isn’t possible, but using the Clarisonic definitely makes mine appear much tighter and smaller and helps me keep my oily skin under control. A totally unfiltered selfie to show you my skin. Yeah, I think that’s about the crux of it. I’d seen comedy sketches poking fun at competitive school mums before I became a mum. I particularly remember a French and Saunders one many, many years ago about mums pulling up to school in increasingly bigger 4×4’s, until Jennifer Saunders turned up in an actual tank, haha. I had no idea how absolutely realistic the basis for those sketches really were. Don’t get me wrong, I’m no crunchy mum myself. 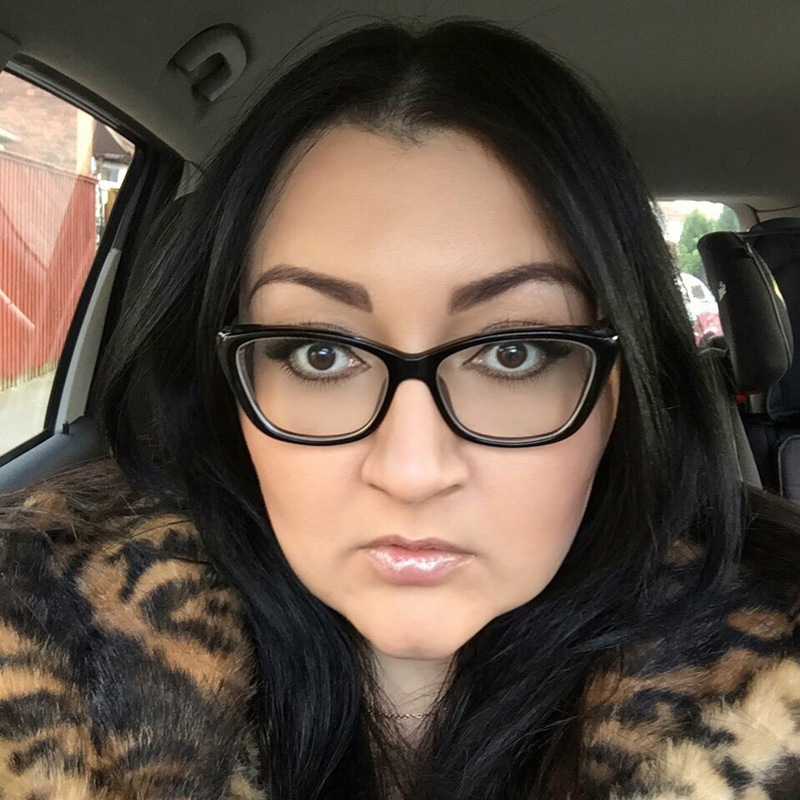 I like to wear a lot of make up, I have manicures and wear a Biba leopard print faux fur jacket for the nursery run. My kids sometimes wear expensive clothes but only when I happen to like those clothes and not because I buy them solely based on the brand or price tag or because that’s what all the other mum’s are dressing their kids in. My kids wear cheap clothes too, it just depends what I like. These outfits cost £7 each. Don’t tell the Nursery Mums. But it’s not the members of Nursery Mums Gang’s penchant for semi-designer brands or their competitive nature when it comes to image that gets my goat. They can wear what they want with as much gusto as they can muster for all I care. 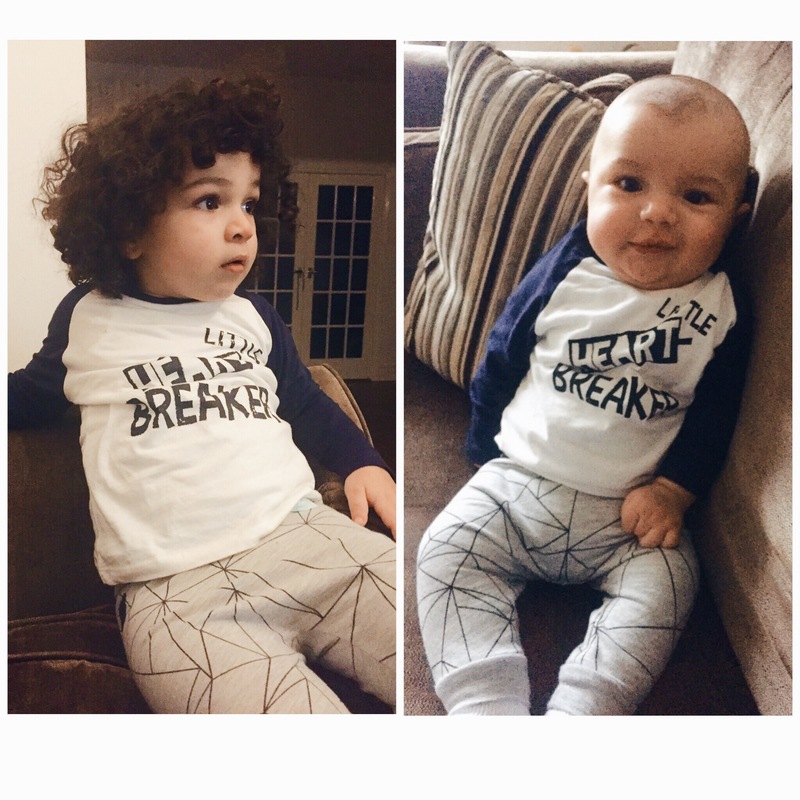 And when they dress their kids, I’m sure they’re putting them in clothes that they like, just as I am. But what really grates on me is their completely obvious disdain for anyone who doesn’t fit in with them and also how pathetically clique they are. They don’t even try to hide it. They never EVER crack a smile for me, even if I’m giving them my biggest beam-face. They talk about socialising knowing I can hear but have never suggested I join them for their coffee mornings, even in a polite, through gritted teeth, we’re-inviting-you-but-please-don’t-come sort of way. If I try to chime in when they’re chatting I’m either ignored or curtly given a one word answer. Is it just me this is happening to or is the bitchy Nursery Mums Gang a common phenomena? When I moaned to my husband about it he offered me a simple explanation. ‘Maybe they just don’t like you.’ Yes. Maybe. Except they don’t know me, so any dislike is based solely on my appearance. How dare they take against the faux fur like this?! Anyway, I don’t mind not being in the Nursery Mums Gang. I doubt I’d have much in common with them. There’s a dad who does the drop offs and pick ups in his battered old Ford Fiesta and a mum who’s a P.E teacher that comes in a tracksuit and I’m in a more subtle (but way more cool) gang with them. We don’t loudly arrange Tapas evenings or compare our Michael Kors watches in the corridor (yes, both of those things actually happened) but we do have little chats about how our children are getting on and how good the BBC adaptation of War and Peace was. They’re much more my cup of tea and I’m thinking of arranging a bigger and better Tapas evening with them anyway. Screw you Nursery Mums Gang! 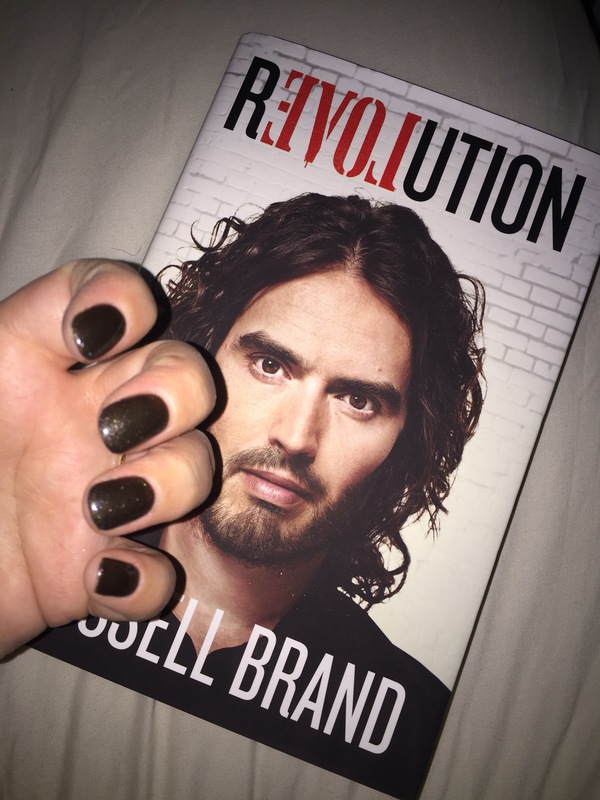 My big boy has gone off to sleep at his nannie’s, so I took the opportunity to get a manicure (the pincer nails had to go) with just the baby in tow (luckily he slept for most of the time) and then once he was in bed for the night I got cosy in my bed with Russell’s book. 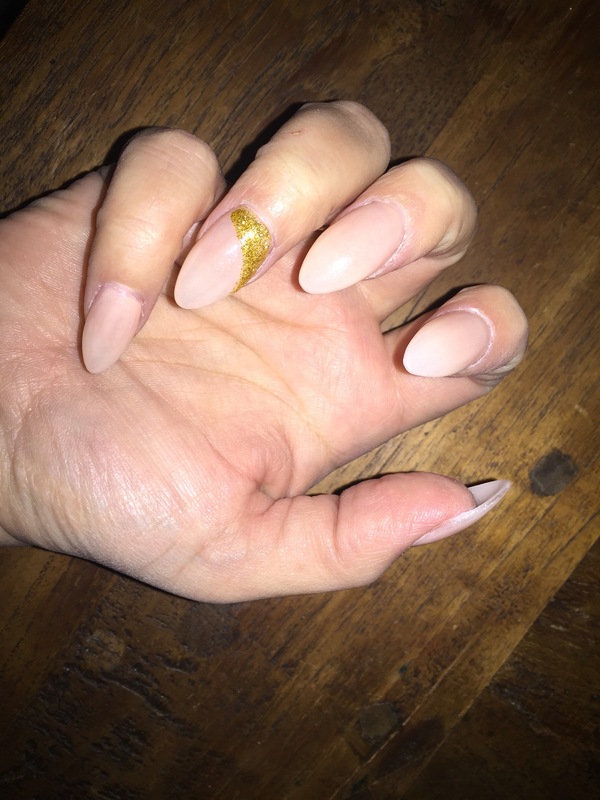 The inspiration for both the manicure and the reading of a non-children’s book came from my absolute favourite blogger, Cash Carraway (The Comeback Mum) who posted her fancy nails and book of choice on Instagram and made me all envious. If you haven’t already, please check out her blog. It’s everything I want from a blog – honest, funny, sad, beautifully written and with some great beauty recommendations chucked in to boot. Anyway, I’m so pleased with my nails and my brain feels more alive from just having spent a little bit of time reading something for me. I love my kids with all my heart but I’m so glad of some relaxation time when I manage to get it. Pre-children I used to have my nails done every 2 weeks and yesterday, as I was walking past the nail salon with an hour to spare, I decided I’d have them done for old times sake and to cheer myself up after a crappy few days. Unfortunately there was a misunderstanding between myself and the lovely Vietnamese nail technician, who seemed to be filing my nails into some sort of arrow shape?! Was this just a new method of filing? Would the end result be ok? No. No it wouldn’t. 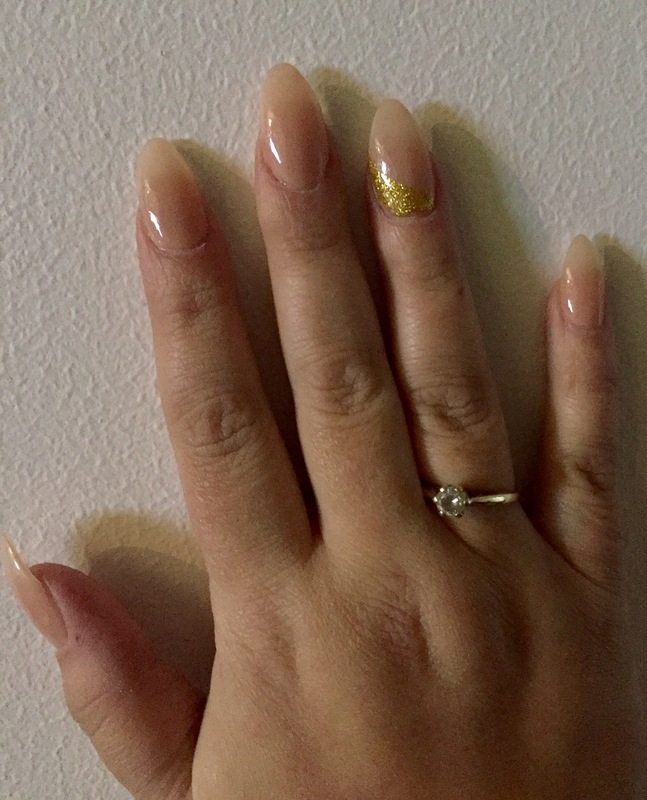 Stiletto nails! She was giving me stiletto nails! Being terribly British I couldn’t bring myself to tell her until she was onto the third nail. She was mortified and offered to take them off and start again but I didn’t have time and told her it’d be fine and to carry on. It’s not really fine. As you can see, it’s a pretty sorry state of affairs. Plus the pincer-nails make my already sausage fingers look positively Cumberlandish. On the plus side, I imagine these pincer-nails can be used in lieu of a hot drinks stirrer or a screwdriver. Always handy things to have at your fingertips. Moral of the story: never feel shy to tell the Vietnamese nail technician that you didn’t ask for pincer-nails today. 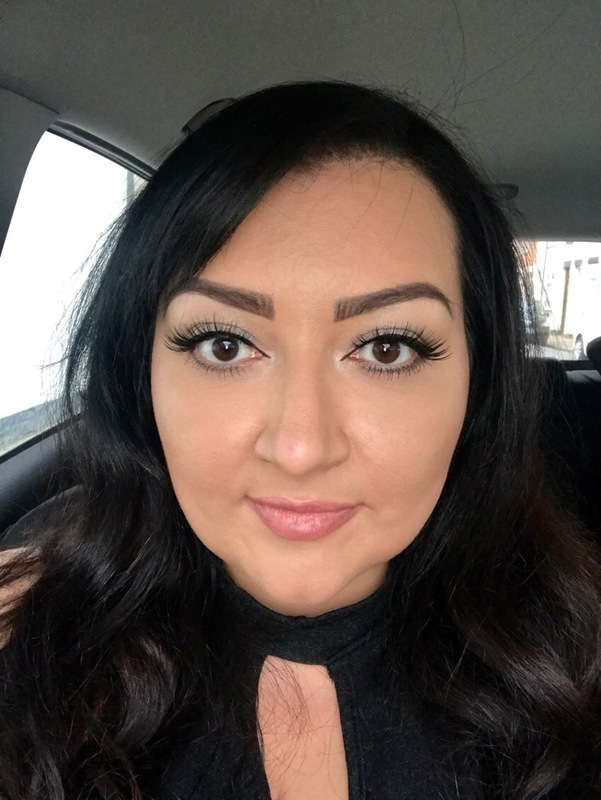 My very good friend the Accidental Hipster Mum (AHM) (check out her blog by the way, it’s great and funny) and I had some fabulous nights out in our (slightly) younger days. We were both single, both had more time on our hands (even though we were working full time) and both looked forward immensely to our Saturday night shenanigans. 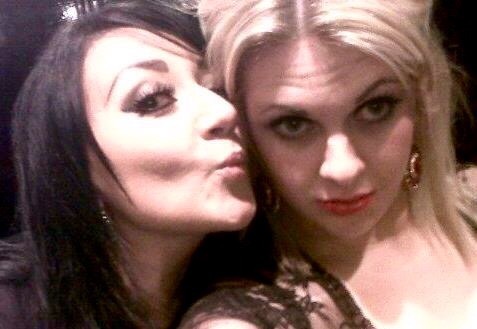 During the week we were an optician and solicitor respectively; but come Saturday night we were wild and free. Me on the left (excuse the eyebrows. And the pout. Selfies had just come out.) AHM on the right. On one of these raucous nights out we came across none other than Walford’s finest – Dean Gaffney! He was tagging along while Phil Mitchell did a meet and greet at a really bad nightclub we had a soft spot for. Gaffers was keen that we should join him at his ‘after party’ and I thought it would be hilarious to give him AHM’s phone number but my battery had died and I didn’t know her number so I asked her to give him it. She misunderstood and bloody well gave him mine! I ignored his texts but we’ve been unapologetically dining out on the story ever since. And why wouldn’t we?! It was actually only about 4 years ago that we were painting the town red and getting into Gaffney-based scrapes but so much has changed, it feels like it was in another life. I’ve got married, had 2 kids and stopped working and the Accidental Hipster Mum has settled down with the man of her dreams, had another baby (she already had a beautiful daughter) and started a degree course! We are still the best of friends and text daily. We don’t get to see each other as much as we’d like but last week we made the effort to meet up because AHM’s birthday is coming up. Did we put in our best frocks for a night on the tiles, hoping to bump into another Eastender? No. We went pottery painting. AHM being massively creative. I opted for the very original white star on black background. It might seem like an odd choice but we have form. 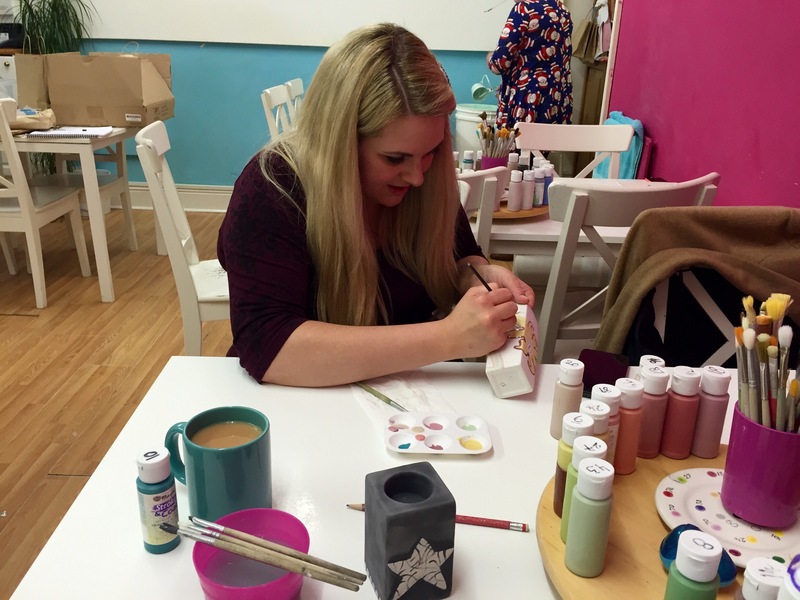 AHM is very creative and great at all things crafty, me less so but I enjoy giving it a go, so we’ve been a few times before. And the best thing about it is we have plenty of time to natter in peace and the pottery painting place provides unlimited free cups of tea. What more could you ask for?! Since I was 13 I’ve been wearing a full face of make up and unless I’m made up I don’t fully feel like myself. It’s not that I hide behind make up or that it’s a mask, it’s more just part of who I am. And now that I’m older, have children and am sleep deprived, good concealer and foundation are things I really rely on. Like most teenage girls I started off with the cheap stuff – Collection 2000 and Rinmel. I can still remember the smell of the Rimmel concealer stick and matt foundation I used to cake on every morning before school. Then when I got a Saturday job at 16 I thought I’d hit the big time and used to buy Max Factor, L’oreal and sometimes Body Shop make up. It wasn’t until I started university in Leeds that I really discovered the delights of Mac, Laura Mercier, Dior, YSL, etc and I have to confess that a probably unreasonable wad of my student loan was spent at make up counters in House of Fraser and Harvey Nicholls. In my defence I did work on a Dior counter for a while and made huge use of the staff discount. 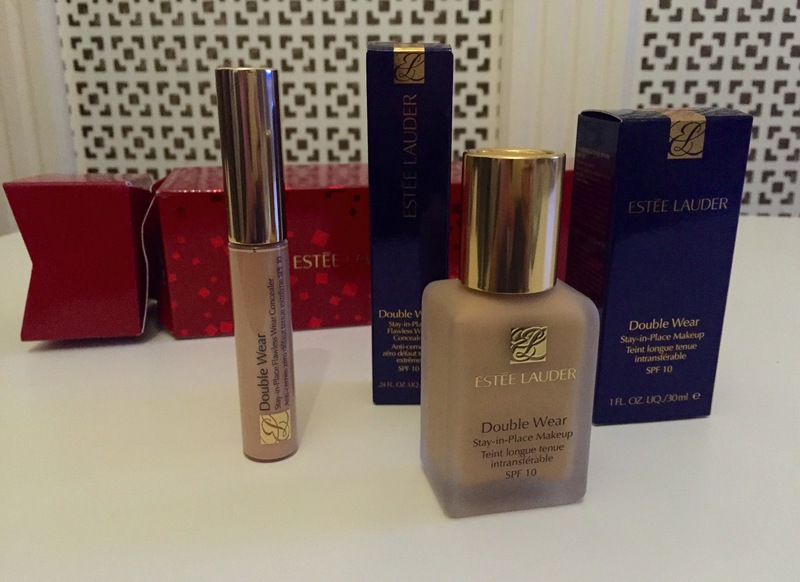 I’ve tried a lot foundations over the years, from the very cheapest to the decadently expensive, but I always go back to this one: Estée Lauder Double Wear. I’ve converted a fair few of my friends to it too and they’ve all thanked me, without exception. A few months ago I gave Georgio Armani Luminous Silk foundation a try after hearing marvellous things about it, but for me, Estée Lauder Double Wear still comes out on top. So what’s so good about it? Pretty much everything! Except perhaps the price (around £30 for 30ml). But I think it’s well worth it. First of all, the coverage is amazing! You can apply a second layer if you need to but I never have. My skin tone is naturally uneven but this foundation covers all of that and leaves me with a good complexion. Secondly, it lasts! It really truly does last for a full 15 hours (at least) without having to be touched up. It doesn’t budge! Thirdly, and very importantly for me, it’s oil free. I have very oily skin so if I don’t use an oil free foundation I soon become shiny in a sweaty-looking way. Not a good look! And finally, a 30ml bottle goes a long way. Because the coverage is so good I find that I don’t use as much per application as other foundations, so I only buy it two or three times a year. Because it’s oil-free and fairly dense (there is a more lightweight version available but I prefer more coverage) it’s important to moisturise really well before applying. To apply I use a brush; I find that this method achieves the best coverage quickly and evenly. I then use a setting powder and that’s it, I don’t re-touch for the rest of the day! I also use the Double Wear Concealer under my eyes. 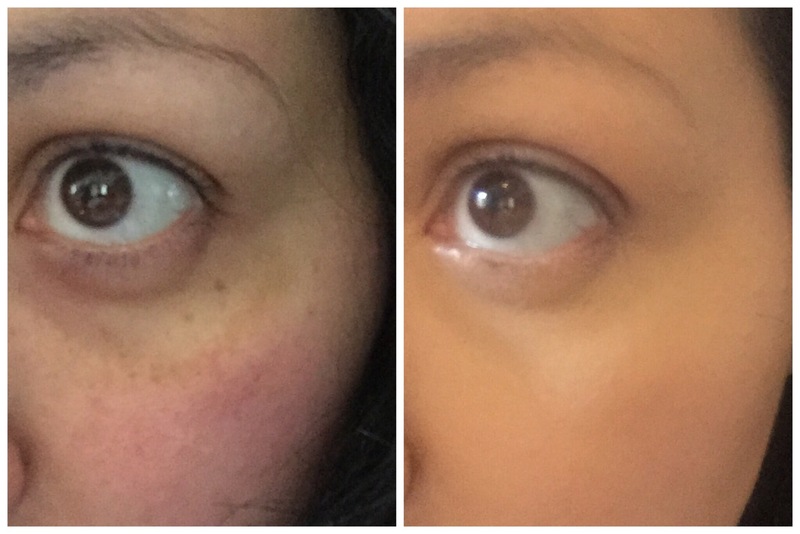 As well as the usual I’m-a-mum-and-I-get-no-sleep dark circles, I also still have the remnants of the dreaded melasma from my last pregnancy underneath each eye. 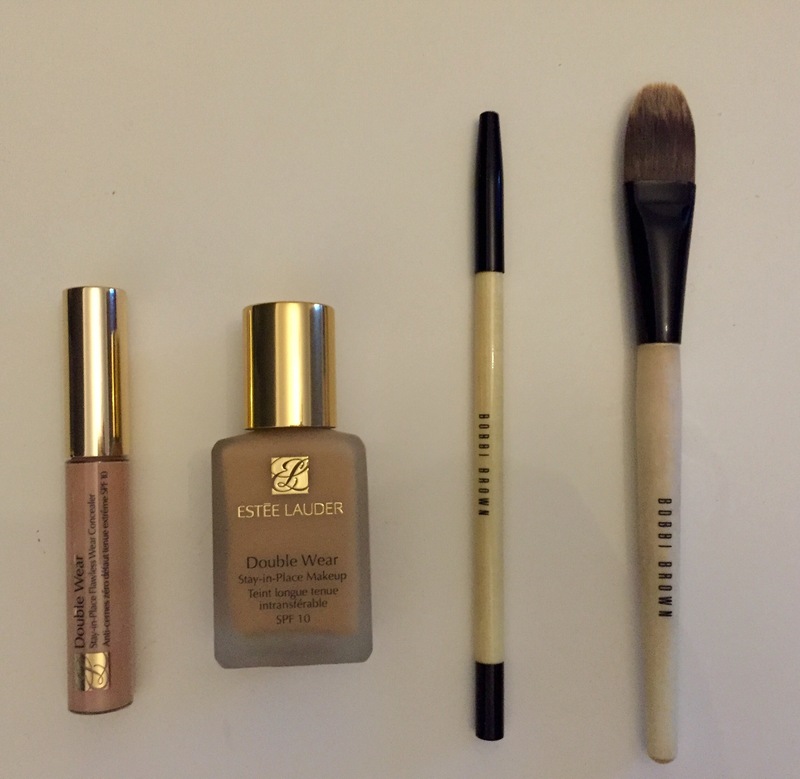 Double Wear Concealer coupled with the foundation totally covers them! Everyone loves a before and after so here’s me pre and post application of concealer and foundation this morning. I didn’t use a colour corrector and the after shot is before I dusted on the setting powder. The photos were taken with the front camera on my iPhone and aren’t edited in any way. Pretty impressive hey?! Do you see why I love Double Wear so much?! I purchased the foundation and concealer yesterday in Boots (gotta love the advantage points!) and received a free gift in the shape of a lovely red cracker. I haven’t opened it yet but I’ll share its contents when I do. Oh and I also got 500 bonus advantage card points too, win! I realise this post probably sounds like a sponsored big-up of the products but I promise you it isn’t, I wasn’t given anything or paid for writing this, I really do just genuinely rate them highly and wanted to spread the joy! If anyone thinks there’s an even better foundation out there please let me know but I doubt I’ll like it as much as my beloved Double Wear!